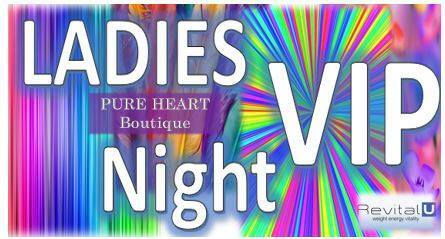 This Friday is our Fashion Show – Ladies VIP Night. We have some Fabulous Stalls. We would love you to come! £5 per ticket, which includes Fashion Show, Bubbly (or soft drink) & a mince pie, Nibbles to accompany ‘BYO booze’ too. See you soon, and don’t forget to bring plenty of bizcards! Growth Hacking & Business Mastermind workshop is back! It’s been a small while since our last workshop due to the sad and unexpected closure of the business parlour, but we’re delighted to announce that our new workshop is scheduled for 22nd June. This is a workshop that will actually benefit your business same-day! Growth Hack UK presents Bedfordshire’s premier growth hacking and business mastermind event. Limited to 8 attendees who are all SME business owners, you will be taking some time away from your daily routine to work on your business not in your business. Business Mastermind – bring your business problems and share them with the group to leave with lots of different ideas and perspectives on how you can solve them. Listen to the problems that other business owners are facing and share your experience and ideas to help them. Somebody else has probably solved the problems you face and knows how to get the most of the opportunities you have, so get a short-cut to success from the collective group experience. Discuss what your business does and let the group ask you questions about it. Let them come up with ideas on things you can do to grow your business, improve sales, reduce costs and increase efficiency. Often these are things you haven’t even thought about! Get a fresh unbiased perspective on what’s holding you back. Lunch – a picnic hamper lunch is included with the workshop, and you also get unlimited tea and coffee for the duration, worth the price of the ticket alone! Om nom nom! Growth Hacking – decide one thing you could do in just 1 hour to benefit your business there and then, work on it and complete it for immediate results before you leave! Try a suggestion made by somebody in the mastermind or do something you need assistance with, everyone else will help you. Bring one secret that has helped your business and share it with the group, and in return leave with several other invaluable secrets that you can use to propel and grow your business quickly in new and exciting ways. It’s a fantastic opportunity to make the most of a few hours for your business. Silence your phone, ignore your inbox and spend some time focusing on your own business, it deserves your attention once in a while. Arrive as strangers, leave as friends. #bedshour Tweet Up Tickets Available! Drinks: There will be wine and water on each table (as part of your ticket cost) but if you fancy something different there’s always the bar!! Goodie bags: Goodie bags will be available for you to pop your flyers, business card & treats in! Please make sure you bring something along so everyone has your name and contact details! Networking: There will be lots of chance to chat and share ideas as time will be set aside for everybody (or those who want to) to stand up and let us know about their latest ventures! 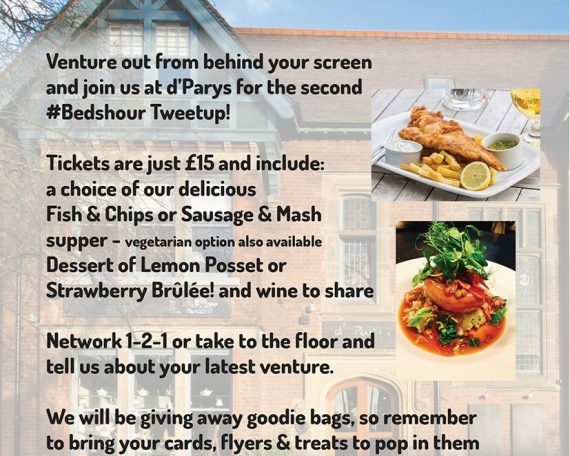 #BedsHour Tweet Up – 12th September, 8pm at d’Parys! Just a quick note (in case you missed it) – the next evening #BedsHour Tweet Up will be held at d’Parys on 12th September at 8pm! 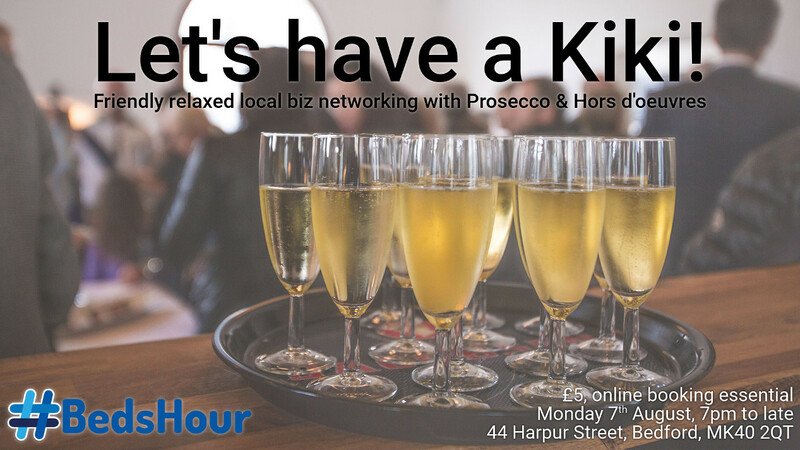 Make sure you’re there to network with all your favourite #BedsHour peeps and enjoy some delicious food! Ticket cost: Tickets will be £15.00 and available once they’re set up online! Max capacity for the room we will be around 35-40 people so once tickets are available, make sure you grab one! 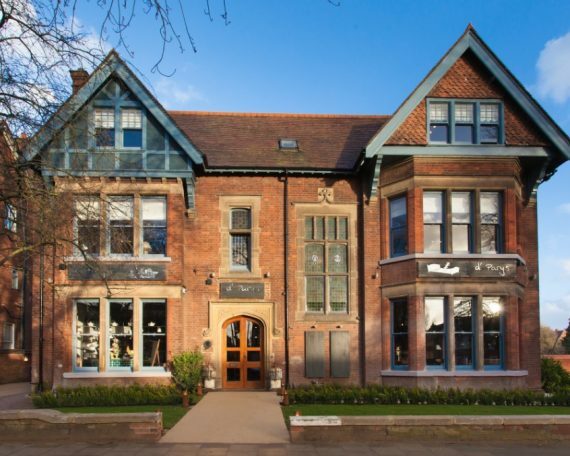 Hello from Bedford Jelly Co-working! Afternoon everyone! Thanks so much to Paul from White Label Dev for creating such a great tool for #bedshour. 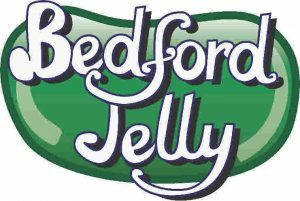 I’m currently writing this from @bedfordjelly which, if you haven’t tried it, is a lovely event where you work for the day in a different environment. So here I am with my laptop; social-media-ing and website-designing and drinking the Bedford i-kan’s lovely espresso (thanks Jacob – our fab host from @bedfordikan) and trying out the system. As a thanks for letting me go on about Jelly, if anyone would like a few free tips on using WordPress, which this site uses, either over the phone or over a coffee, feel free to get in touch.